at Lower Granite Dam, but that there was only a small increase in returning adults. Calling it a "very important and valuable study," the Independent Scientific Review Panel has completed its review of a 23-year-long study (1991 to 2014) of salmon supplementation in two Idaho river basins -- the Salmon and Clearwater river basins. The study itself found that the method successfully increased the number of naturally-produced juvenile chinook salmon at Lower Granite Dam, but that there was only a small increase in returning adults. Once supplementation stopped, however, the benefits it may have afforded to increase the numbers of juveniles and adults in the rivers came to an end. "The questions addressed by the study are pivotal for salmonid restoration and recovery," the ISRP review says. "The study's extensive geographic scope, use of treatment and reference populations, long duration, comprehensive field data, and analytical approaches have provided managers and policy makers with insights and recommendations on how supplementation should occur and be evaluated throughout the Basin." The study of supplemented chinook salmon in the Salmon and Clearwater sub-basins involved 27 streams. Some13 of the streams were supplemented and 14 were reference streams. The ISRP review, "Review of the Idaho Supplementation Studies Project Completion Report 1991-2014," can be found on the Northwest Power and Conservation Council website. The Council had asked for the review in May. The ISS study, "Idaho Supplementation Studies: Project Completion Report 1991 -- 2014," (ISS) can also be found on the Council's website. The ISS was funded by the Bonneville Power Administration under the guidance of the Council's Fish and Wildlife Program. The study's authors completed work in December 2015 and presented their findings at the May Council meeting in Boise, Idaho. The ISS was conducted by the Idaho Department of Fish and Game and its partners, the Nez Perce and Shoshone-Bannock tribes, and the U.S. Fish and Wildlife Service. At the May Council meeting, Dr. Timothy Copeland of IDFG said "that supplementation increased the number of naturally-produced juveniles from natal habitats and smolts to Lower Granite Dam, but the increase translated into only modest increases of adults back from the ocean and it was not maintained after supplementation stopped." He added that the benefits of supplementation were greater in the Salmon River basin, where supplementation was done with stock integrated with the natural population, than in the Clearwater basin, where the supplementation stock was not integrated with the target population. The study defines supplementation as "the use of artificial propagation in the attempt to maintain or increase natural production while maintaining the long term fitness of the target population, and keeping the ecological and genetic impacts on non-target populations within specified biological limits." "When the project first began, over 23 years ago, a commonly held belief was that the Salmon and Clearwater sub-basins would be capable of producing and supporting greater numbers of spring Chinook if more adults could be introduced into these areas," the ISRP review says. "As the study progressed, this perception changed. In many of the streams examined, it was apparent that salmonid populations were already at or near capacity as density dependence was observed. The study showed that in order for supplementation to be effective, an understanding of the factors that limit a population was needed. Once limiting factors become known, it may become possible to increase capacity and abundance." The ISS addresses a couple of policy questions critical to the Council. 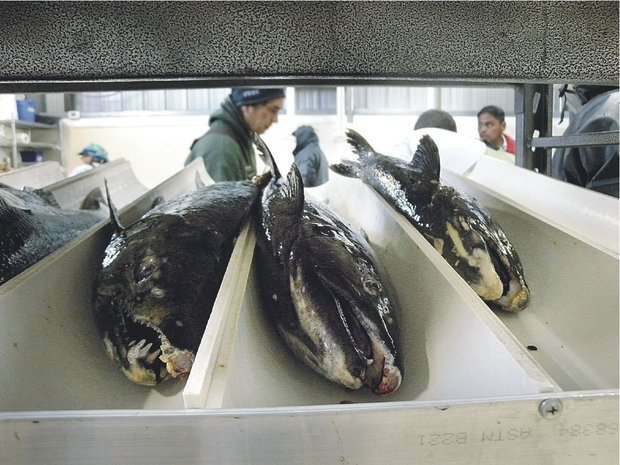 Critical uncertainty number 3 in the Council's 2006 Research Plan asks, "What is the magnitude of any demographic benefit to the production of natural origin juveniles and adults from the natural spawning of hatchery-origin supplementation adults?" The study examined this question by looking at how supplementation affected abundance and productivity at juvenile and adult stages in the life cycle, the ISRP says. "By including an evaluation period that examined the effects of stopping a supplementation program, the ISS was also able to address two enduring questions about the benefits and costs of terminating a supplementation program," the ISRP review says. "One of these questions asks how long any boost in abundance might persist once supplementation stops." The ISS identified a slight increase in adult abundance after supplementation ended in Salmon River populations, but in the Clearwater River, both abundance and productivity generally returned to pre-supplementation levels. "These results indicated that increases in abundance will not continue if factors originally limiting a population are not addressed. Habitat restoration, along with restoring access to previously blocked areas, are two approaches being used in both basins to improve carrying capacities and enhance abundance," the ISRP review says. In addition, the fact that productivity and abundance generally returned to pre-supplementation levels after supplementation ceased helped answer a portion of Critical Uncertainty #4, the review says. "That is, does the ability of natural-origin adults to produce adult offspring decrease when returning to streams that have been exposed to supplementation programs? At least in this study, no lasting reductions in abundance or productivity were detected for Chinook salmon. This is an important management finding because it implies that supplementation can occur in a population without incurring lasting reductions in fitness." Further comments by the ISRP focused on analytical methods, significance of the study's findings, and scientific aspects of management implications. Fixed factors -- such as the ratios of supplementation and non-treatment hatchery females to natural-origin females, number and types of hatchery juveniles released, and occurrence of endemic fish in supplementation broodstocks -- were important predictors of abundance during the freshwater portion of the life cycle. Random factors that were outside of the Program's ability to adjust -- e.g., hydrosystem and ocean conditions -- largely controlled adult returns and outweighed any supplementation effects. In both the Salmon and Clearwater subbasins, natural origin females were more productive than supplementation females who, in turn, were more productive than non-treatment hatchery females. Using management tools such as selective fisheries and weirs along with regulating the numbers, types, and locations of where hatchery juveniles are released to influence the composition of spawning populations is a forward looking strategy. No lasting reductions in abundance or productivity were detected for the chinook salmon in this study, an important management finding because it implies that supplementation can occur in a population without incurring lasting reductions in fitness. Increases in abundance from a supplementation project will not continue if factors originally limiting a population are not addressed. Once limiting factors become known, it may be possible to increase capacity and abundance.